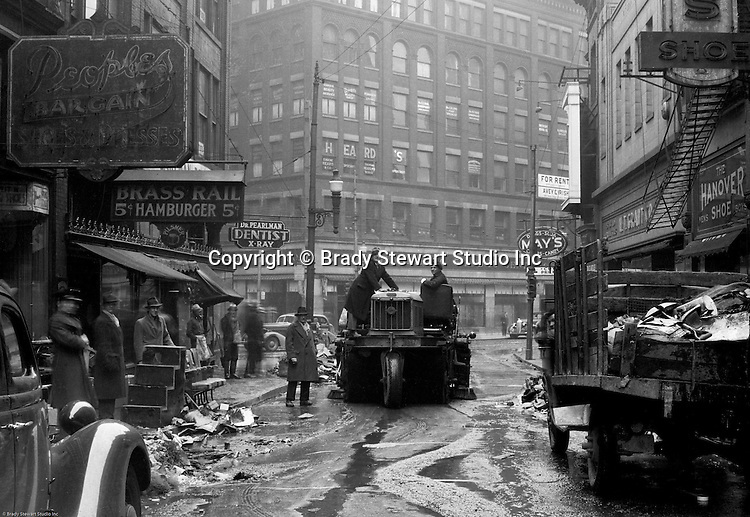 Pittsburgh PA: View down Market Street toward Liberty Avenue after the Flood - 1936. About 100,000 buildings were destroyed and the damage was estimated at about $250 million. Sixty five percent of the downtown business district had been under water from the Point all the way up to Grant Street.